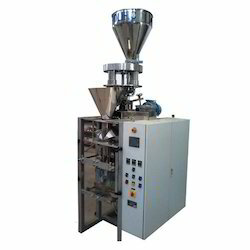 A Vertical Form Fill sealing Machine for producing center seal / Three side seal / four side sealed sachets for handling all types of Oils, pastes and pickles. - Digital temperature control's for controlling temperature for bottom sealing & center sealing. 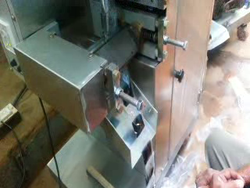 - Main AC motor with Variable Frequency Drive. - High speed Auto Colour mark sensor.